"Biggest Furniture Store in Salinas"
If you’re looking for the largest selection of furniture under one roof, you’ve come to the right place. Furniture Expo in Salinas contains hundreds of home furniture options. 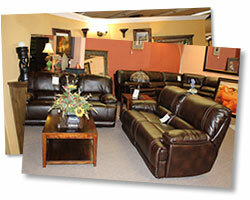 Find affordable prices on Living Room, Dining Room, and Bedroom Sets. Shop for individual pieces including; leather furniture, dining room tables, chairs, beds, mattresses, night stands, couches, sleeper sofas, sectionals, chaises, armoires, barstools, rugs, lamps, and so much more. Choose from a wide array of furniture brands such as Michael Amini, Johnathan Louis, and Magnussen Home.